Hi there! Today’s post is about two Yardley products I found at my local 99p Store (before it closed and reopened as a Poundland store). Yardley shower gels are normally around £4, and their body lotions are around £6, so I was happy when I found these two limited edition products for 99p each. I’ve been using Yardley’s Invigorating Blue Orchid Moisturising Body Wash and the matching Hydrating and Enriching Body Lotion for a week now. And I’m ready to let you know what I think about these two products. The body wash is OK. I wouldn’t say it’s moisturising, but it’s definitely not drying at all. The (non-descript) floral fragrance is alright, but it’s rather faint. The body lotion is OK too. It feels moisturising and it’s absorbed quickly. However, the fragrance isn’t great (a mix of paper and a non-descript floral scent) and the lotion leaves a film (like Garnier’s Body Tonic) on my skin. In summary, I’m not impressed with these Yardley products. I’m glad I only spent £1.98 in total for the body wash and the body lotion. I will continue to use the body wash, but I will repurpose the body lotion and continue to use it as a foot cream. 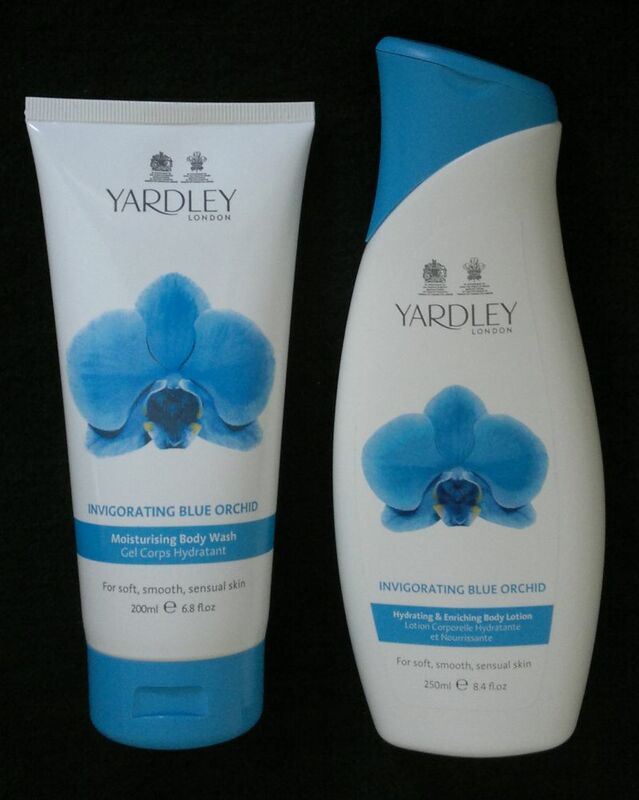 If you’d like to try Yardley’s Invigorating Blue Orchid Moisturising Body Wash and the matching Hydrating and Enriching Body Lotion yourself, you should swing by your local discount store. I’ve seen these two products at two local Poundland stores as recently as this week.